Get ready for our Top 10 Keto Buys at Sprouts. We don't shop at Sprouts often because it is more of a speciality foods store and we prefer to buy staple items in bulk at Costco. We like Sprouts for their keto "junk food" options. 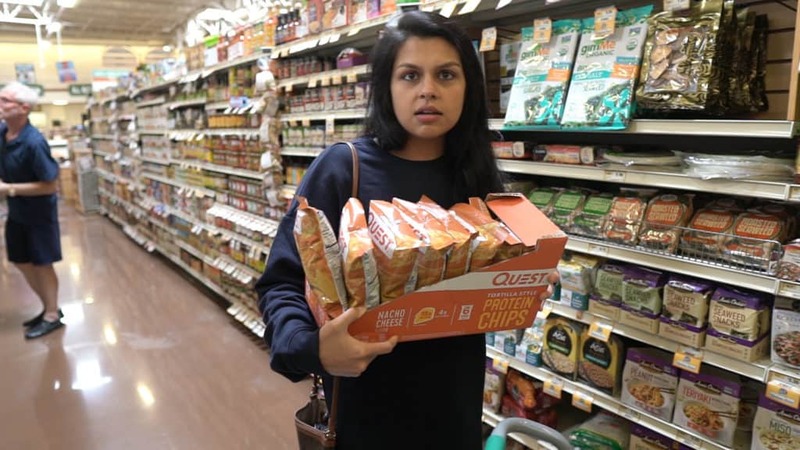 They've got keto bars, chips, and other snacks that make great replacements to regular, unhealthy junk food. As always, we'll also tell you what keto scams to watch out for and which products are not on our top 10 keto buys list. Let's get started! Top 10 Keto Buys at Sprouts! If you don't feel like making our homemade keto yogurt recipe, there are a couple options at Sprouts. Kite Hill makes their yogurt with almond milk, which means it's dairy-free and it contains only 1g carb per serving. 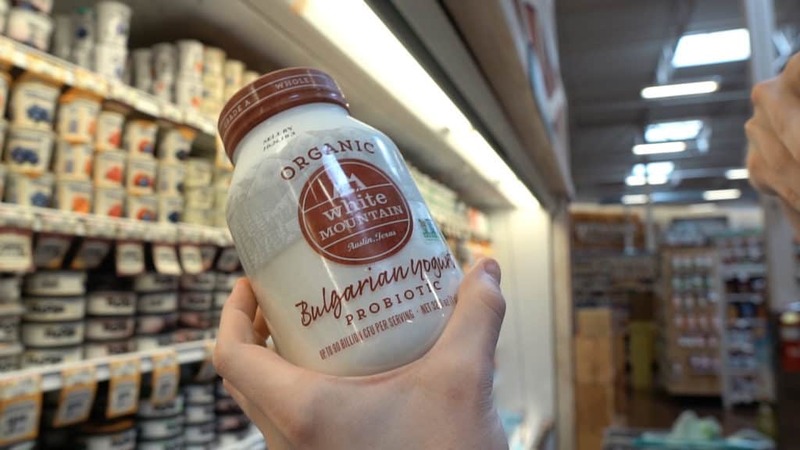 You can also try the low-carb yogurt by the brand, White Mountain, with only 5g of carbs per serving. We love the ease and tastiness of packaged meats, but we still like to look for good ingredients and limit our intake of nitrates and fillers. 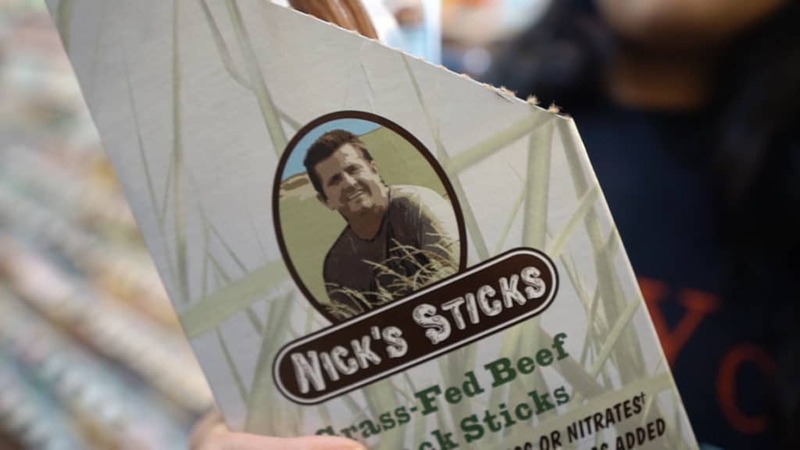 At Sprouts, we like to buy ​Nick's Sticks - the spicy flavor! These brand's proudly make products containing only good ingredients and keto-friendly macros. 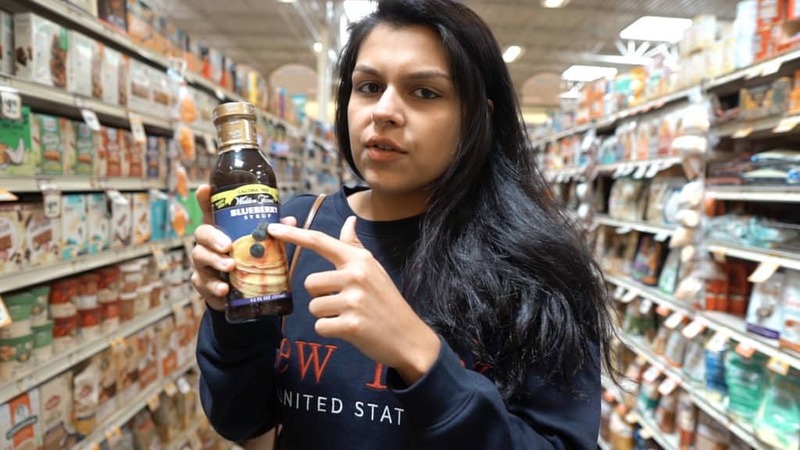 We always have a bottle of Walden Farms maple syrup in our house. We don't eat it every day, but every now and then it's perfect on waffles, in a mug cake, or in some of our maple dessert recipes. Try our Maple Macadamia Nut Cookies and Cinnamon Keto Granola! One of the easiest ways to transition into the keto diet is to replicate your favorite baked goods with keto versions, so instead of bingeing on a tin of cookies, you can bake your own batch of sugar-free, low-carb goodies. 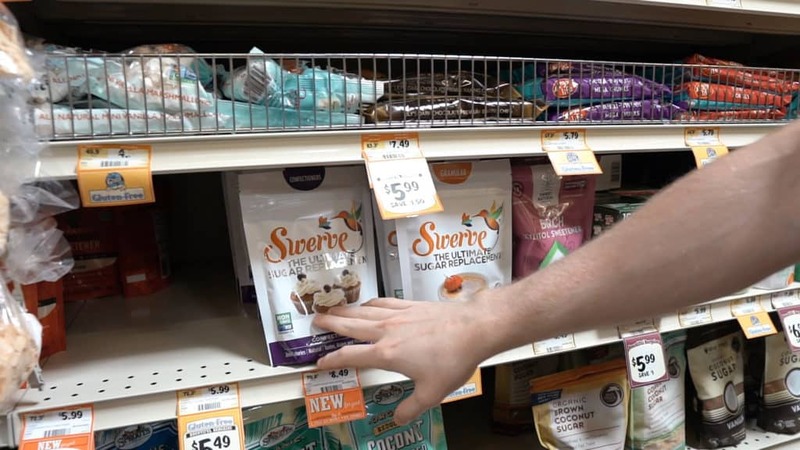 For good deals on coconut flour, almond flour, erythritol, and keto chocolate chips, come to Sprouts! They have all the best keto baking brands at reasonable prices. 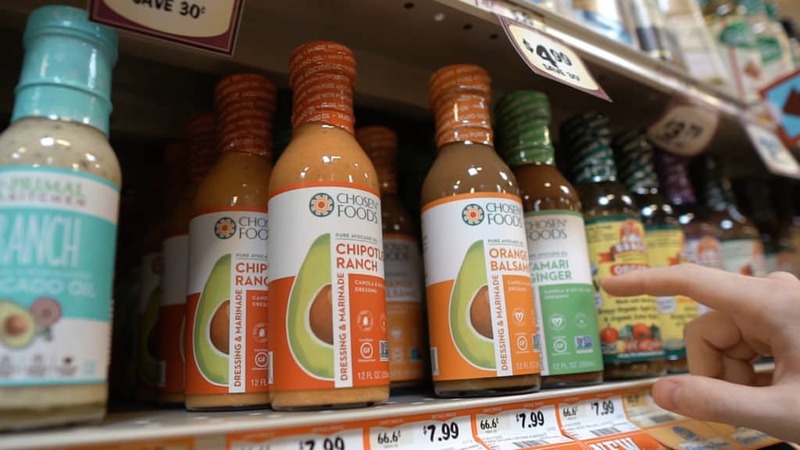 We only buy salad dressings made with avocado oil or coconut oil to avoid refined vegetable oils. 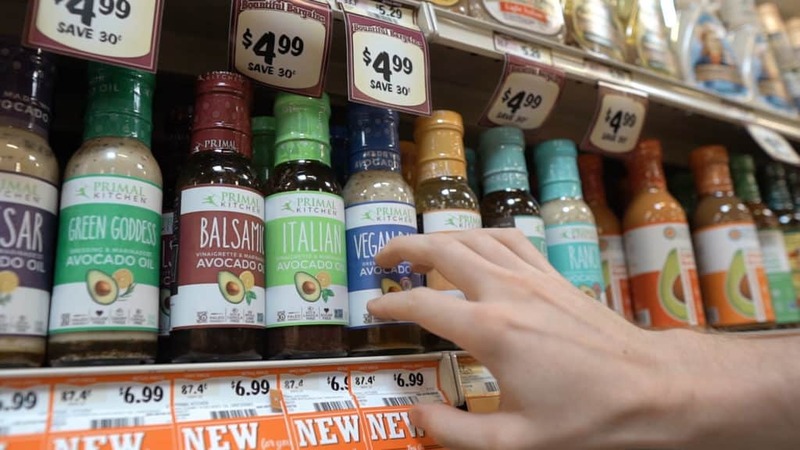 Unfortunately, these high quality salad dressings are on the pricier side, so we like to look for deals at Sprouts. 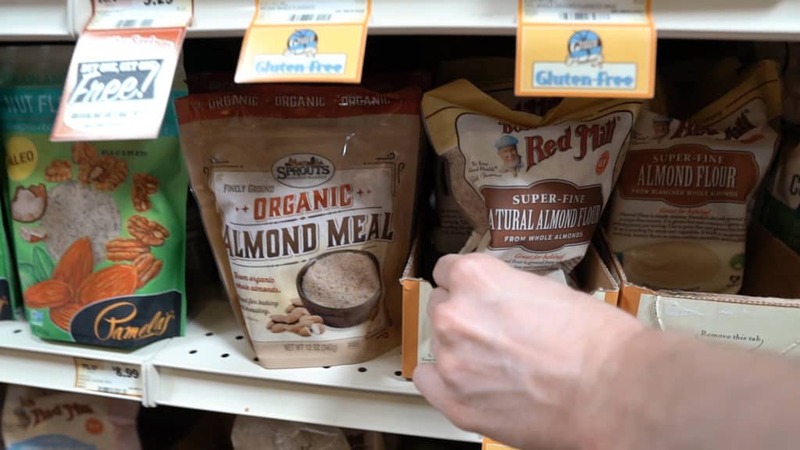 Our favorite brands are Primal Kitchen and Chosen Foods and Sprouts carries both! Quest Chips are a new favorite in our household. We love to have a salty, crunchy, snack at the movies, or after a couple drinks when we are feeling munchy! 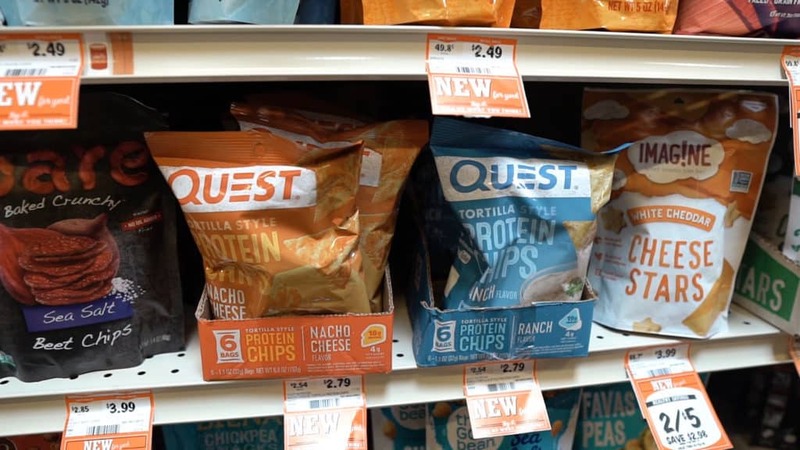 Quest chips are available at Sprouts and are great paired with any of our keto dip recipes. Bacon bits are a great addition to a keto salad or for topping loaded mashed cauliflower. 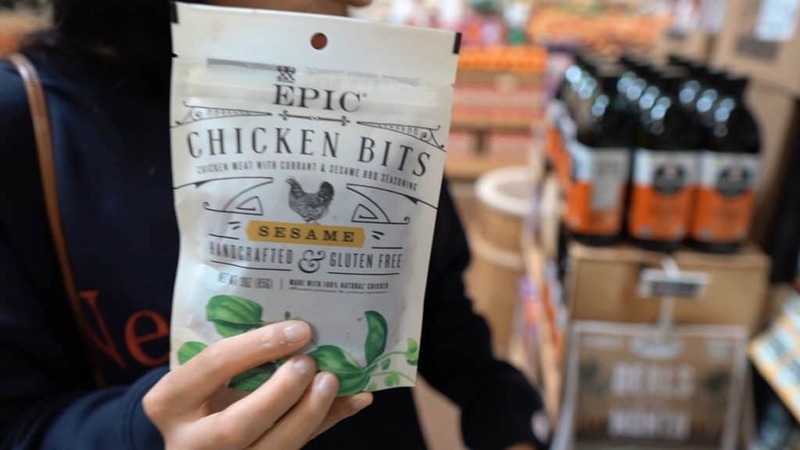 Our favorite brand for bacon bits is Epic because not only do they taste delicious, but they use high quality ingredients and grass-fed meats. 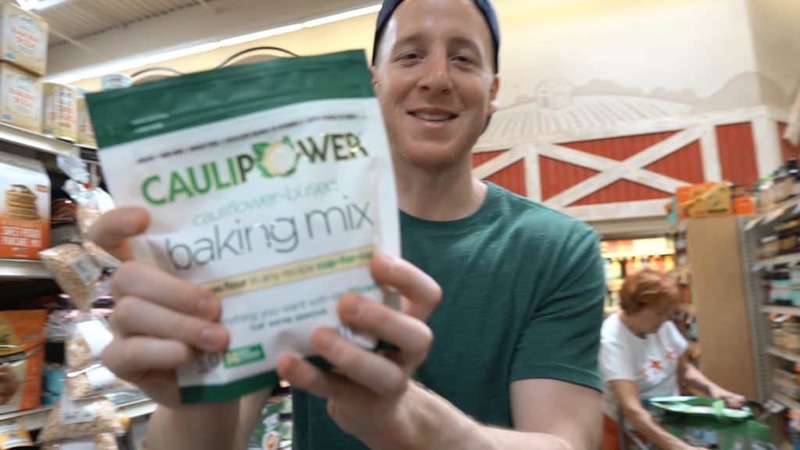 Pick up a bag at Sprouts! We love the chicken Bits! 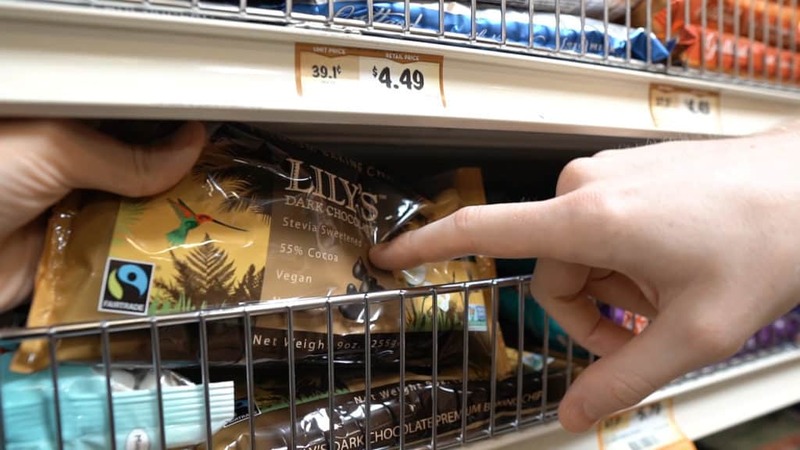 You really don't have to give up delicious chocolate when you start a keto diet thanks to brands like Lily's and Eating Evolved who make keto-friendly chocolate bars. 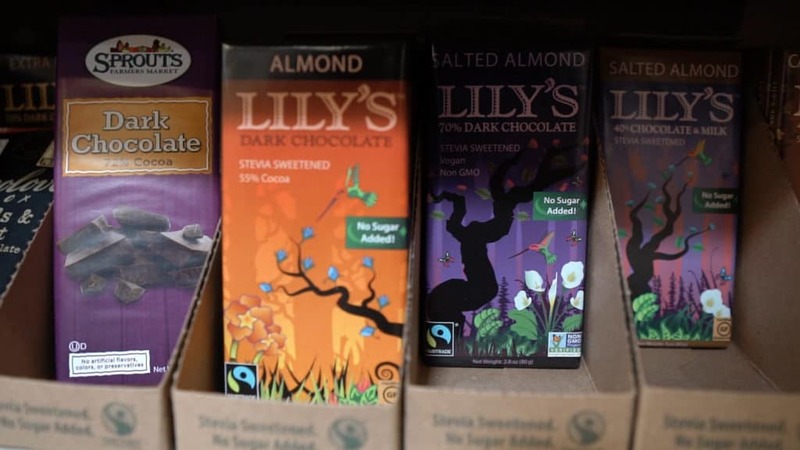 Lily's sweetens their bars with natural sweeteners like stevia and erythritol and offer a variety of flavors like Milk Chocolate, Salted Almonds, and Dark Chocolate. Pick up your keto treat at Sprouts or make our homemade keto chocolate bar! Enjoy some sweet, bubbly soda on a keto diet without all the sugar. 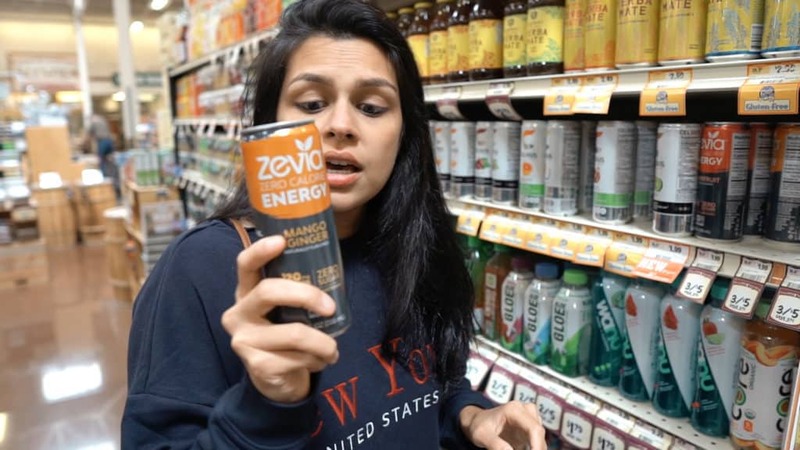 Zevia products are sweetened with stevia, are zero calorie, and contain no artificial coloring. 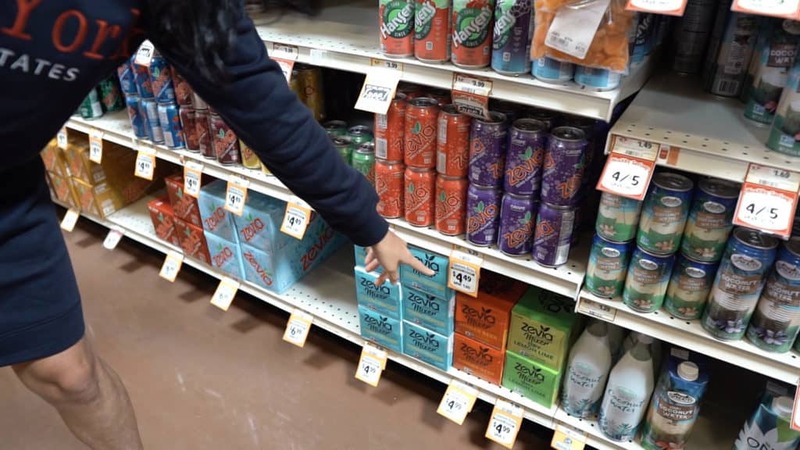 Sprouts offers all of Zevia's best products, like their line of energy drinks and mixers. Try a few of our Zevia recipes here! Many packaged meat products can contain zero carbs, but still allow for trace amounts of sugar and other fillers. 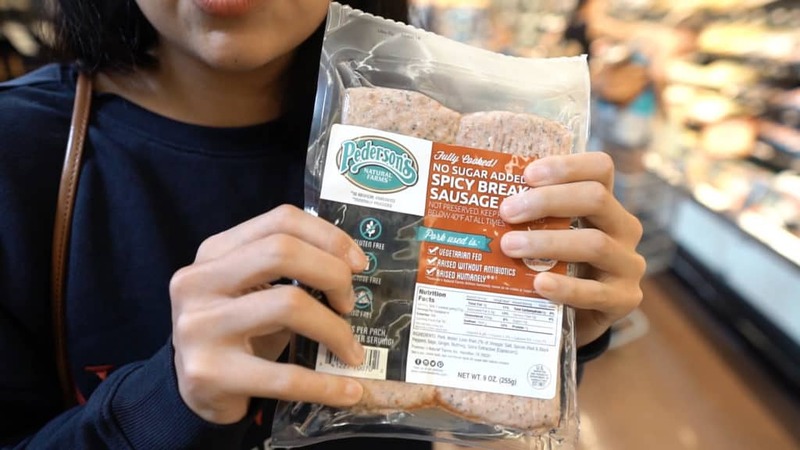 At Sprouts, we found some of our favorite bacon and sausage brands like Pederson's Natural Farms spicy sausage. 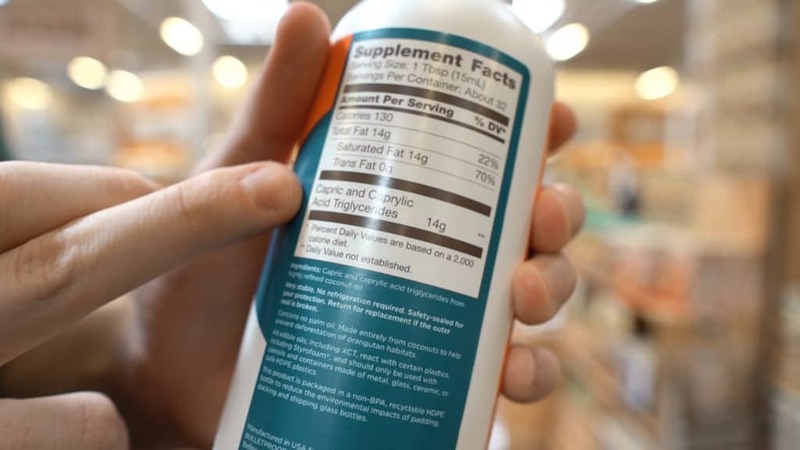 Always read the ingredient list to know exactly what is going into your food! Sure, coconut water may be marketed for its high levels of electrolytes, but this drink is actually very high in sugar! Instead, get your electrolytes from supplements and foods like sea salt, leafy greens, avocados, and nuts. Quest Cookies may be low in net carbs, but they don't taste good! (In our opinion.) Spend your money on an even more keto-friendly cookie, No Cow Cookies. They are low-carb and high fat, plus they taste delicious. Companies can add cauliflower to products and put it on the front label to make it sound low-carb, but you have to read the ingredients to know for sure. 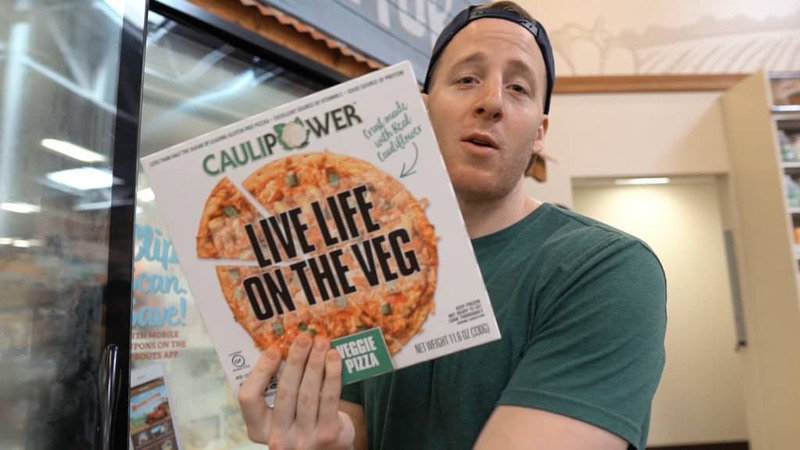 The Caulipower brand sells a number of products at Sprouts including baking mix and pizza crust, both of which still contain a lot of of carbs and flours. 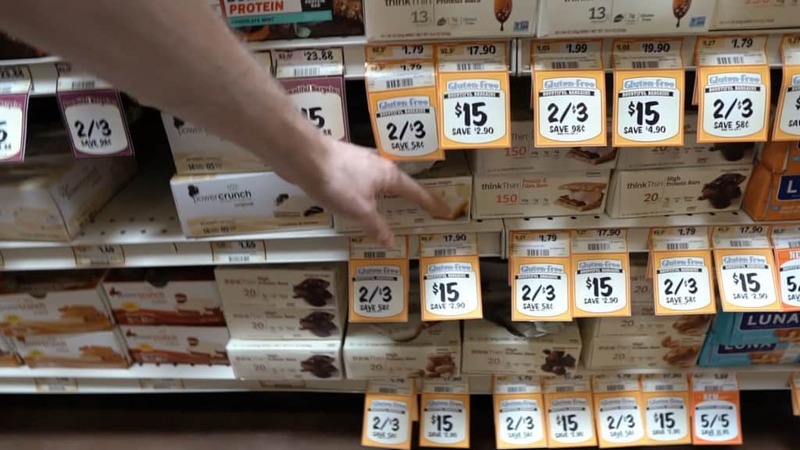 Many low-carb protein bars are made with maltitol and IMO fiber, both of which are "zero carb", but still spike blood sugar levels. Check out our Sweetener Testing video for more information on these ingredients. In particular, avoid ONE Bars, thinkThin bars, and No Cow Bars. (No Cow Cookies are fine for keto, but the bars contain IMO fiber.) 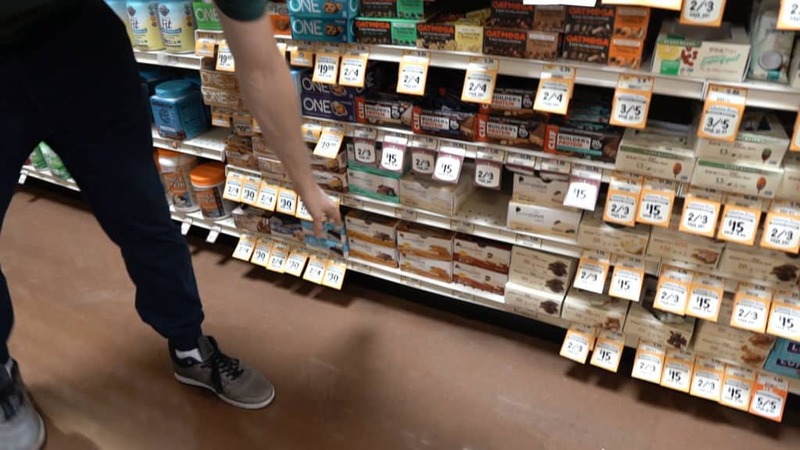 Your best option is a Quest Bar! You've probably hear of MCT oil and how it provides a quick source of energy - the fastest absorbing MCTs being C8 and C10. 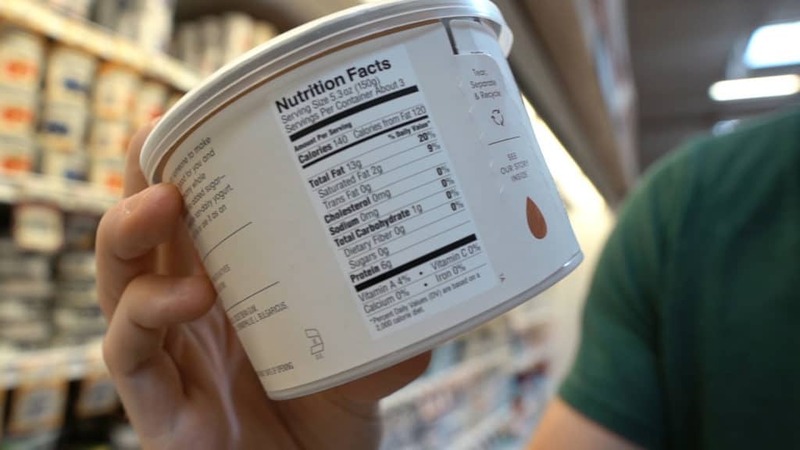 It's important to look for brands that show you on the label just how much of each (C8 or C10) you are getting per serving. The Bulletproof brand has an XCT Oil product which is a C8 and C10 blend, but they don't tell you how much of each MCT you are getting. 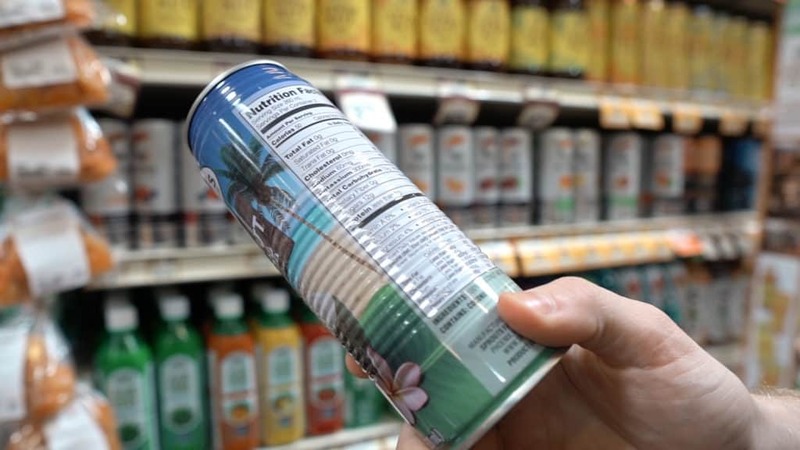 Look for transparency in labelling! Let us know what you like to buy at Sprouts! Check out all of our other grocery hauls for more ideas and keto shopping advice.